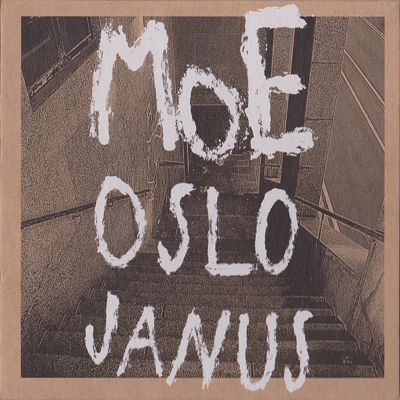 ‘Oslo Janus’ is a small, smart and effective bomb, aimed surgically at the ear but mischievous enough to trick its sender and destroy everything as collateral damage with no hesitation whatsoever. This trio gives five tracks of raw power that feels as painful as shoving sandpaper in your ear canals and throat, with each track having its own slow, dry, heavy, colossal and sticky feel to it. Sounds exhausting? Far from it! MoE is far too energetic to have the luxury to make you drowsy. From the first second to the last note we are hurled down a rusty rollercoaster down the coal mine, that never seem to give us one second of fresh air. ‘Osly Janus’ might sound minimalist, maybe, consisting only of scorched singing, guitar, bass and drums, but it’s hideously bombastic. Certainly one of the best albums I have heard recently.